Dire Straits impressive debut album, dating from late 1978, right in the middle of punk and new wave, was a mini masterpiece of difficult to categorise bluesy “pub rock” dominated by the hitherto unknown Mark Knopfler’s unique guitar sound. What also often slips under the radar is what a Newcastle album it is. Some songs refer to the North-Eastern UK city - “Down To The Waterline” and its mention of the “dog leap stairs”, a steep flight of old stone steps in the city centre, and “Southbound Again”, about catching the train down to London. There is also “Wild West End” an atmospheric song about Knopfler’s experiences once getting to London. Other highlights are “Six Blade Knife”, “In The Gallery” and, of course, the massive chart hit and darling of subsequent Radio Two playlists, “Sultans Of Swing”. The story of an honest, working blues rock band, it has a timeless appeal that keeps it on those oldies playlists. 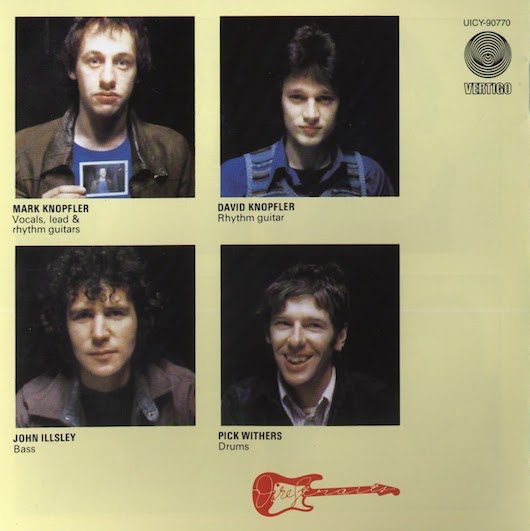 Then there are Knopfler’s killer guitar parts in it. 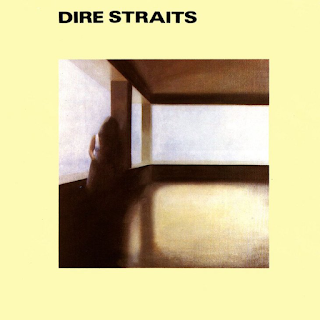 Overall it is a great, wholehearted, honest laid back rock album that could be played by the band in “Sultans Of Swing”. It was respected at the time, even by the punks and new wavers and deserves the same today.